Congratulations to September and October Vote Top Winners! 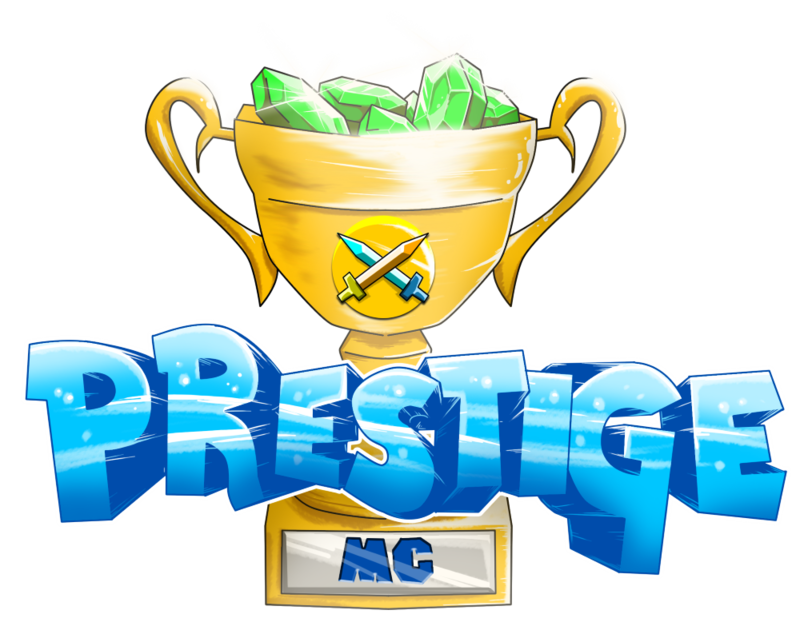 On behalf of the Prestige staff team, I would like to thank everyone for being patient during this busy time period among us staff members. We are striving to deliver you, the player, the best we can offer. Thank you, everyone, for supporting the server! Let's hope to continue the support through the month of November! Chunk Hoppers aim to serve 3 purposes: save you resources, increase your profits, and hopefully decrease strain on the server. Chunk Hoppers are obtained by running /converthopper while holding a normal hopper. To keep the economy balanced, each conversion will cost $5,000 in-game. Donors however can bypass this fee. When used right, these can make mob farms and shops a breeze! While the style was pretty much kept the same, there have been lots of improvements on the back end. The tinkerer now rewards much more EXP for trading items with custom enchantments applied (exp levels instead of total exp). The Success, Destroy, and Mystery dusts were cleaned up and any problems that existed with them before are gone. We are working on rolling out new enchantments soon too, but they are still being tested. On the way! A system for tracking your personal stats has been added, and prizes will be rolled out to those with the highest in respective categories. Use /stats in-game to see for yourself. We are aiming to reset the server on Friday, September 29th. Once the date is confirmed, this thread will be updated. EDIT: Skyblock has now reset. The final release time was at 12pm EST on Sunday, October 1st. Expand your island, and fast!!! The Top Island winners will be selected on the day of the reset, so place as many blocks as you can get on your island to increase your levels as much as possible! Only the TOP 5 ISLANDS will win prizes. If you have any further questions, feel free to comment on this thread or ask in Discord. A staff member will be glad to help make your experience in this next map as great as possible! See you then! Congratulations to August's Vote Top Winners! All winners will receive their store coupon codes directly from me either in a forum PM or on Discord. Thanks to everyone for the support of the server this month, and let it continue!